For years people assumed that body builders were the only people out there looking to bulk up and gain weight but there are many, many instances of people looking to pack on some extra pounds. There are people who have suffered from illnesses, others who have lost weight going through treatments like chemo or dialysis, and even those that are recovering from accidents and just can’t gain. There are even people with eating disorders or anxieties whose high metabolism or lack of desire for food contributes to being too thin. And of course, there are perfectly healthy people who simply find it hard to gain weight (called “hardgainers”) who would like those extra pounds and curves to boost their confidence. Are you one of these people listed above? Has your concerned grandma ever said “let me make you another sandwich, we need to get some meat on you?” It seems logical that eating more than you normally would is enough to get the weight gain process started; but for many that is just not the case. There are more people than you might realize that are struggling, just like you, and that have started looking for extra help to get extra calories. 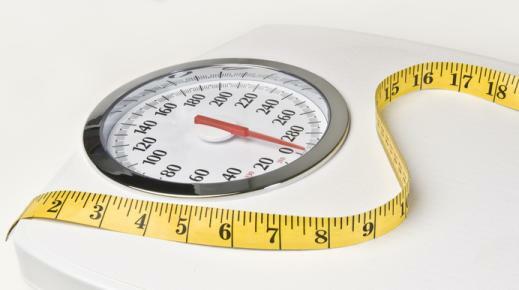 When it really comes down to it, weight gain is all about simple math; calories in minus calories burned equals calories left in your body as surplus to be converted and stored away as body mass…Right? So what happens if you are eating as much as you can but you still aren’t gaining? What help is there for you? What is a weight gainer? A weight gainer is typically a liquid or capsule/tablet supplement designed to help someone gain weight. Weight gainers are certainly a staple to the bodybuilding lifestyle but can also be a huge benefit for “hardgainers” or anyone looking for that extra ‘boost’ to help them gain weight. How does a weight gainer work? Just like a car, your body needs energy in order to maintain itself and complete all of the tasks that you do every day. This energy is gained by eating food and is often measured in either Kilojoules or Kilocalories (referred to as just “calories” in the USA). Your body then converts the calories to useable energy. Any unused calories (unburned calories) left over by the body are then used as building blocks for creating the body that you are reading this article to get. The fewer calories you take in, the less you’ll have left over to get the results you want. Your body is a calorie-craving machine and will always need energy. You’ve probably heard the saying “you’ve got to eat big to be big”, right? If you give your body enough calories, it can start to build a bigger and better version of you…Calories are key! All weight gainers, regardless if they are a pill, shake or liquid claim to help you by providing you with the extra calories you need to start gaining weight. The difference is how they help you achieve this goal. First off, shakes are a popular choice for packing on the pounds simply because they are direct calories, and remember…Calories are key! The calorie content varies from shake to shake with some offering as little as 300 calories per serving (about the same as a light snack) and others are set to be a full meal replacement. With so much range in calorie content it is difficult to choose a weight gainer shake that is right for you. Then you have to consider cost, taste and the fact that shakes with too many calories can cause indigestion and excessive belly fat while shakes with too few calories might not have any impact at all. Calories found in food can usually be broken down into three major macronutrients: fats, carbohydrates, and proteins. These ‘macronutrients’ are chemical compounds found in food that provide a bulk amount of energy, or calories. Another big draw to buying shakes to help bulk and gain in a healthy way is that weight gainer shakes do contain a wide variety of these important macronutrients. It is important, when choosing a weight gain shake, to be aware of how each of the macronutrients affects your body. Some weight gainer shakes focus only on high-protein, while others focus primarily on complex carbohydrates. Protein and carbohydrates both offer the same amount of calories (4 per gram) but proteins are more filling than carbohydrates. Because of this, a diet of high protein can actually curb appetite and limit weight gain which is why it is often a recommended diet for people who want to lose weight. Unless you are strictly trying to bulk up for a more muscular frame, a balanced weight gainer with plenty of carbohydrates and fats is much more useful for gaining weight. Do your research on not only the weight you are trying to gain but how each ingredient taken in your body affects your health and your end results. Another key factor to pay attention to is taste. The high concentration of protein (and sometimes creatine) in these shakes often makes them taste bad. To compensate, companies will usually add a large amount of sugar or artificial flavoring to give them the taste of more appetizing flavors such as vanilla cupcakes or cookies and cream. For diabetics or other people who are trying to limit their sugar intake, the sugar content found in these types of weight gainers can actually be so much that they are forced to look elsewhere for help in their weight gain journey. So what other options are there? 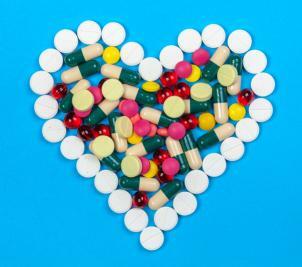 Weight Gainer Pills: What makes them different? Designed as an alternative to weight gainer shakes, weight gainer pills have become a very popular and effective solution for weight gain in recent years. Weight gainer pills claim to present a different means to your same end goal – gaining weight. Where shakes provide an immediate boost to calorie intake the moment you drink one, weight gainers in pill form often provide a natural boost to appetite. This allows you to actually take in more calories throughout your day instead of only receiving a single boost of calories when you drink a shake. Plus, they are super easy and convenient to take – instead of going through the hassle of mixing up a shake whenever you need extra calories, you can easily and instantly swallow a capsule with any liquid…no preparation necessary! While looking at different weight gainer supplements, you may be thinking “a pill is a pill, right?” Well actually, just like how weight gainer shakes come in different flavors and calorie amounts, weight gainer pills can also be different in the effects that they offer. A common and effective solution offered by pills is an increase in appetite. This increase often helps those with a weak appetite that simply cannot get enough calories from their meals, snacks, or even high calorie shakes to build a surplus of calories for effective weight gain. Another effect that certain weight gainer pills may claim to offer is the ability to slow the metabolic rate, which is the rate at which your body burns calories. Many hardgainers find that they can eat more than 3000-4000 calories a day and still not gain weight because their metabolism simply burns the calories off too fast. With a supplement reducing the body’s metabolism, more calories are stored away for the building of body mass. Finding the right product to work for you is a challenge with so many choices and claims out on the market. We’ve done our research and can make this easy for you: CB-1 Weight Gainer is clinically and scientifically proven to help you gain weight by stimulating the appetite and slowing the metabolism; creating a scenario where more calories are being consumed and fewer are being burned, allowing you to easily start seeing the scale go up, up, up! When trying to determine how to gain weight, one of the most important factors to consider is how safe the product is for you. 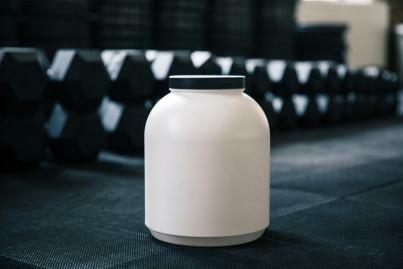 Weight gainer shakes typically contain a lot of key macronutrients but they can also have high amounts of sugar and other additives to lengthen shelf-life or improve taste. However, there are many weight gainer pills that are currently available that say they contain only natural ingredients made without any chemicals, drugs, or other harmful substances. So what type of weight gainer is best for me? In conclusion, if you struggle to gain weight and are asking “which weight gainers are the best,” then CB1 is just what you need. 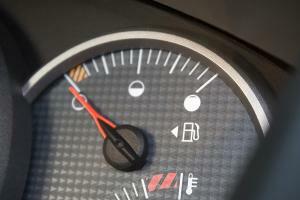 There are other options available, each with their own claimed benefits and perks, but do your research and ask the important questions from the tips and suggestions above. CB-1 Weight Gainer offers the convenience of a pill and is backed by scientific research and a US-patented formula proven to help you gain weight safely while keeping your health at the forefront. 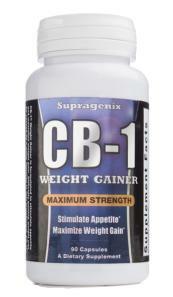 CB1 has helped hundreds of thousands of people gain weight successfully and even offers a money back guarantee.